The question quoted above is the reason recovery programs like Alcoholics Anonymous fail, apart from Jesus. This is not a judgmental statement. I have several good friends who are recovering alcoholics. All of them appreciate the comradeship and shared experience they receive from AA, and all of them testify beyond the shadow of a doubt that their recovery would have stalled (at best) or failed utterly (at worst) without Jesus. This is why I was surprised by the question. 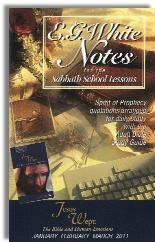 The first half of Wednesday’s lesson is about true repentance and conversion. Peter’s story is one of the most hopeful stories in the Bible. If Jesus accepted him, then Jesus will accept me. The Ellen White quote, though emotionally appealing, is speculative. 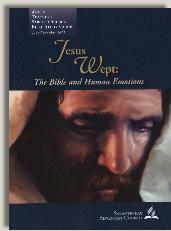 The Bible says merely, yet poignantly, “And he went out and wept bitterly” (Luke 22:62). And then these statements in the final paragraph: “His preaching and leadership and miracle workings were extraordinary and led to the salvation of many. His work also led to the foundation of the church as the body of Christ.” (Teacher’s Quarterly, Page 60) None of what Peter did or accomplished was his. All of it was God’s. This is not nit-picking. This is core to the problem of behaviorism. If I look at Peter and try to emulate his behaviors I will fail. But if I look at Peter and then to the Jesus to Whom he pointed, then I will realize the Spirit’s total sufficiency and walk by faith in whatever the Spirit chooses to do in and through me. We are not called to “minister, out of our pain, to others in theirs.” Rather, we are to comfort others with the same comfort we have received from God (see 2 Corinthians 1:1-7). This, too, is not a fine point. In myself I have nothing to offer others, except my pain; and shared pain, though good for expressing a shared experience, does nothing to elevate either me or my compatriot out of the pain. In fact, it can lead to the downward spiral of self-pity and depression. On the other hand, recognizing what I have been given in Christ and realizing that not even my worst sin can separate me from His love allows me to lift my compatriot’s eyes to the risen, victorious Savior. This is ministry. Wednesday’s lesson begins well. Peter’s story tells us that God’s grace surely does super-abound. Unfortunately, this lesson ends with an emotion-laden appeal. Shared experiences, both painful and joyful, help us identify with each other in proper humility, but only the comfort received from Jesus allows these shared experiences to become redemptive.